July 12, 2017 June 29, 2017 by Beau H.
We always say here at The Style Guide that the little details count. And that’s no more true than when it comes to your everyday carry. We’re talking about all the little things you can’t leave the house without — from a slim wallet to a leather lanyard to versatile sunglasses and a small-yet-effective daypack. And in the summer season, that list likely grows a little bit longer. Between fighting the summer sun with a vintage ballcap and toting along a trusty, durable bottle opener to a tailgate or backyard BBQ, it pays to be prepared for every situation. And you’d be surprised at just how affordable it can be to upgrade your everyday carry — whether it’s easygoing essentials from Bespoke Post or a durable daypack, plenty of brands stock handy gear for travel and daily use at low prices. Hopefully, today’s rundown hits the sweet spot for you. We’re covering those unexpected — and unexpectedly useful — items that everyone seems to need. The next time you head to a backyard barbecue, hit the beach or even stroll to your post-work happy hour, you’ll be more than prepared with reliable ways to upgrade your everyday carry. With enough room for a 15-inch laptop, the Daypack is your essential summer bag. If we’re talking your everyday carry, might as well start with a reliable bag — right? Whether you’re hitting the road for a hike or simply gearing up for a stroll to the farmer’s market, take the effective Topo Designs Daypack with you. Featuring a neat blue exterior accented with rich leather and touches of red, the Topo Designs Daypack is a smart-looking, high-performing pack made with enough room for a 15-inch laptop. That makes it a winner in my book. 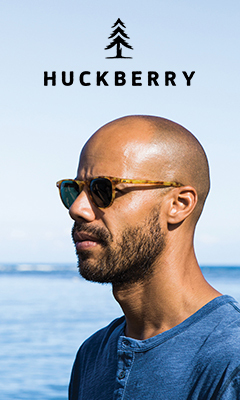 Throw this Huckberry cap in your bag and throw it on whenever you might need extra sun protection. A Style Guide favorite no matter the season, it’s always helpful to have an easy-to-wear, stylish and vintage-inspired ballcap in your bag for situations that pop up unexpectedly. Yes, a ballcap can — and should — serve a functional purpose. From shielding your eyes in outfield seats that got caught in an unexpected glare to keeping your face free from sunburn during an hours-long cookout, the Explorer’s Cap — available in a plethora of colors — is an everyday carry essential. Two options that were made for rugged adventure — and then some. Wherever your casual summer adventures take you, a durable, stylish watch is an absolute must. If you’re bringing along something like the Topo Designs Daypack, then let’s assume you’re going somewhere off the beaten path. In that case, the crisp, classic and well-designed Timex Weekender Chronograph can hang every step of the way — doubly so thanks to the summer-friendly NATO strap. And if your adventures call for soaking up some rays and spending some time in the water, the handsome Deep Blue NATO Diver 300 Automatic is as up for anything as you are. An effective — and effectively cool — way to open your favorite beer. First seen in our new Style Guide series The List, the Areaware Bottle Axe is quite the upgrade from your standard combo bottle opener. It’s sleek, well-designed and well-made, for one. It’s also a neat conversation piece of sorts — it’s inspired by Norse mythology and medieval history. A regular, cheap bottle opener doesn’t have that going for it. Grab the Bottle Axe, toss it in your beach bag and get ready for an afternoon enjoying laidback brews. More tools than you can possibly believe — at an accessible price, too. Perhaps the true definition of an everyday carry piece, the Swiss Advance Crono Camp Multi-Tool really can do it all. The brand says it’s designed to be ultra-slim and lightweight, and it seriously packs a ton of punch. It features, in short order, everything from a bottle opener to a wire stripper to a fork AND knife. And it does all of that for just $35. For your next beach bonfire or hiking trip, you need the Crono Camp Multi-Tool. A sharp, simple and very affordable silhouette for summer style. Great sunglasses at an accessible price with quality construction? Nearly impossible to come by. Yet, Knockaround seems to consistently solve that conundrum, making the Mile High Polarized Sunglasses quite the reliable option to add to your everyday carry. For a price that low, you needn’t worry about beating them up too much — take them to the office and out on a long weekend of adventures thereafter (at least, that’s what I’d do if I were you). A sleek take on your average headphones, with excellent sound quality. A seriously underrated part of your everyday carry? The headphones you’re wearing to listen to your favorite podcast (I’d recommend 99% Invisible) or your favorite tunes (I favor a healthy daily dose of The National). And for unexpectedly sleek and stylish looks — at a great price — the JAYS u-JAYS On-Ear Headphones reliably offer excellent sound quality and a cool silhouette. I say this to you, Style Guide readers: Leave no stone unturned in your pursuit of the best everyday carry gear. If you’re in need of a new grab-and-go bag, the Topo Designs Daypack is the one to buy, with plenty of functionality for your summer adventures. Everything from a vintage-inspired ballcap to a durable summer watch should also be included in your everyday carry — these are seemingly small-yet-useful touches you shouldn’t leave the house without. And whether you’re heading to the beach or to a barbecue, I think you’d be surprised how handy the Crono Camp Multi-Tool can be. Last but certainly not least: Don’t leave your house without an affordable pair of shades — the Mile High Polarized Sunglasses just might be your new favorite pair. That’s all the tips I’ve got when it comes to how to upgrade your everyday carry this summer. Have questions? Shoot me a note on Twitter.